Discover the finest luxury Lakeview real estate listings below! This in demand community is a top choice for working singles, couples, and growing families alike. 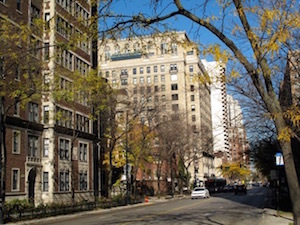 The Lakeview area stretches between the North Branch Chicago River to north Halstead Street and includes a number of Chicago's most coveted communities, including Uptown, Lincoln Square, and North Center. While it's one of the liveliest and most densely inhabited regions of Chicago, it's also one of the best places to find a seemingly infinite selection of homes for sale, from custom new construction homes to the most historic addresses in the city. Lakeview's name is derived from the exceptional views that can be found from living in one of the towering condo buildings that overlook the park and lake. 608 Properties Found. Page 1 of 29. There's something for every buyer in the selection of Lakeview homes for sale. From sprawling flats to prestigious estates and charming character homes to new construction, the selection is virtually endless. You'll often find that a number of the buildings in this community date back to as early as the late 1800s, with many of them established around 1910 and 1920. Since then, they've been beautifully renovated and professionally designed to capture the allure and charm of a heritage home that's been thoughtfully infused with modern design elements to make these spaces practical, desirable, and traditional. Very few places in the city will you find such stunning estate homes and mansions that are so perfectly located in the heart of the windy city. While each of these fine homes are completely unique from one to the next, you can anticipate to find: enormous chef's kitchens with elaborate fixtures and finishes; spacious common areas with intimate lighting, romantic molding and dramatic fireplaces; large bathrooms complete with his and her features and relaxing spa-like amenities; private media rooms, terrace, and recreational areas; and so much more. Living in Lakeview offers buyers the chance to lead a lavish lifestyle from the comforts of a spectacular home, in an established and coveted community where your needs and desires are understood. For many years, this community has attracted affluent buyers from all walks of life to its distinguished streets that have been designed around your lifestyle. Simply put, these fine residences are the epitome of urban luxury. If you're in the market for an upscale urban residence, then these homes for sale in Lakeview are not to be missed! Live, work, and play from your well-appointed home in Lakeview. Whether you prefer to unwind with a book in the comforts of your home or hit the town to sip, savor, and shop, you'll never run out of things to do in this lively cosmopolitan community. If you're a baseball fan, then you'll love having the convenient access to Wrigley Field. Enjoy food and fine dining. Experience tastes from around the world or spend the day visiting the many eclectic shops to find latest designer trends and fashions. Just a short walk away you'll find Lincoln Park, where you can visit the trails for a run after work, hit the links for a round of golf at the Diversy Driving Range or Sidney R. Marovitz Golf Course, or unwind on a private sailboat and cruise the open waters of Lake Michigan. These are just a few ideas of the fun and fabulous things that you can enjoy from the comforts of a home in Lakeview. Want more information about luxury homes and condos for sale in Lakeview? Contact Andreas Holder online or by phone at (312) 893 3560 to learn more about this vibrant downtown Chicago community.